Like what you see here @ Philanthropegie? Great! Now, let us show you what we have in mind for the future. Here’s a list of enhancements we’re mulling over. Please let us know which of these would be of most value to you. And, let us know if you have an idea we should add to our list? Would this be of value to you? Bookmark Button - Wouldn’t it be great to have a toolbar button that would allow you to easily add something to your Philanthropegie library (and our database)? As you do, you’ll be creating a robust, personalized library of resources for you and/or your team. Global Expansion - Almost everything we are launching with is U.S.-centric. It makes sense to start here…but we are anxious to expand to cover other regions of the world. This means identifying far more resources relevant and accessible in other parts of the world and in languages other than English. Instructional Library - There are so many great briefs, video segments and case studies available through the resources included in our database. Without recreating the wheel, we would like to bring some of the most popular and valuable resources to you directly on our site. This way, you can not only create your own library of favorite resource links – you can also create your own library of instructional material for you and/or your team. Peer Mentoring - There are so many great leaders interested and involved in philanthropy. We see a huge opportunity to bring people together so that those with experience and knowledge in a certain area can help those in need of it. Someone who has already led a team through expansion into a new market could provide invaluable insight to someone just starting to build plans for the same kind of initiative. Mentoring could take place in online group settings or in a more one-on-one approach. Live Chat - Sometimes you just need a little help to move things along. We look forward to adding “live chat” functionality to be there when you find yourself in need of it. Profile-based Recommendations and Updates - We hope you like the way we’ve organized and presented the many great resources available through our site. As we grow, we want you to be able to build a profile that could be used to provide you personalized recommendations and updates about new resources as they are added to our site. Project Managers - We’ve already heard of situations in which several different teams (organizations or nonprofits) have similar and, perhaps, complimentary needs. Project Managers would be a valuable resource in helping these teams work together on something that the individual teams just can’t support on their own. Ratings & Reviews - We hope that you’re already making use of the rating feature we built into the site for our launch. In the future, we would like to provide more detailed review content so that you have even more to go on as you look for the best resources to meet your unique needs. And, we would like to give the providers of these valuable resources the opportunity to respond to ratings and reviews – providing a more complete picture for your consideration. Resource Coaches - We look forward to a time when team members are available to help you fine-tune your philanthropic plans and priorities and then assist you in more effectively leveraging the many wonderful resources available to help you make a meaningful impact in the world. 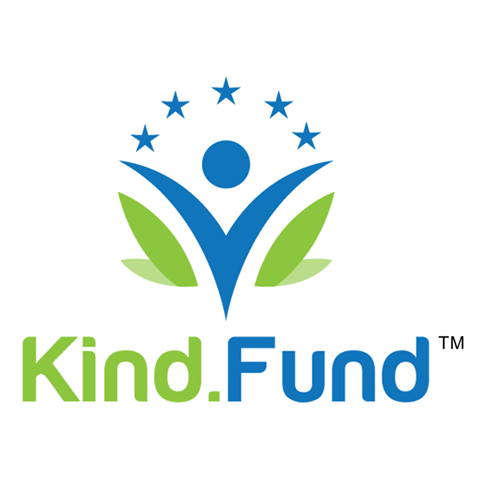 We see a team of people who are passionate about philanthropy and extremely knowledgeable about the many great resources included in our database. Shared Services - We’ve heard from nonprofit leaders who really need a certain skillset – but not on a full-time basis. While some of our volunteer-related resources can help with this on a project or temporary basis – we see a time when our team includes experts whose contributions can be shared across nonprofits. For example – a social media expert who manages the campaigns of several small nonprofits – with each nonprofit only paying for a portion of their time. Surveys - We look forward to providing you with up-to-date information on key areas of interest through surveys of our online audience. Don’t worry – we won’t push surveys on anyone. We want to take your input about points of interest and then give (in a very unobtrusive manner) our audience an opportunity to share facts and opinions that will increase your reach and impact. Youth Services - We are thrilled to see more and more examples of young people getting involved in philanthropy. We look forward to adding a section that highlights contributions made being made by youth. And, we want to present new ideas, opportunities and resources designed just for this audience.